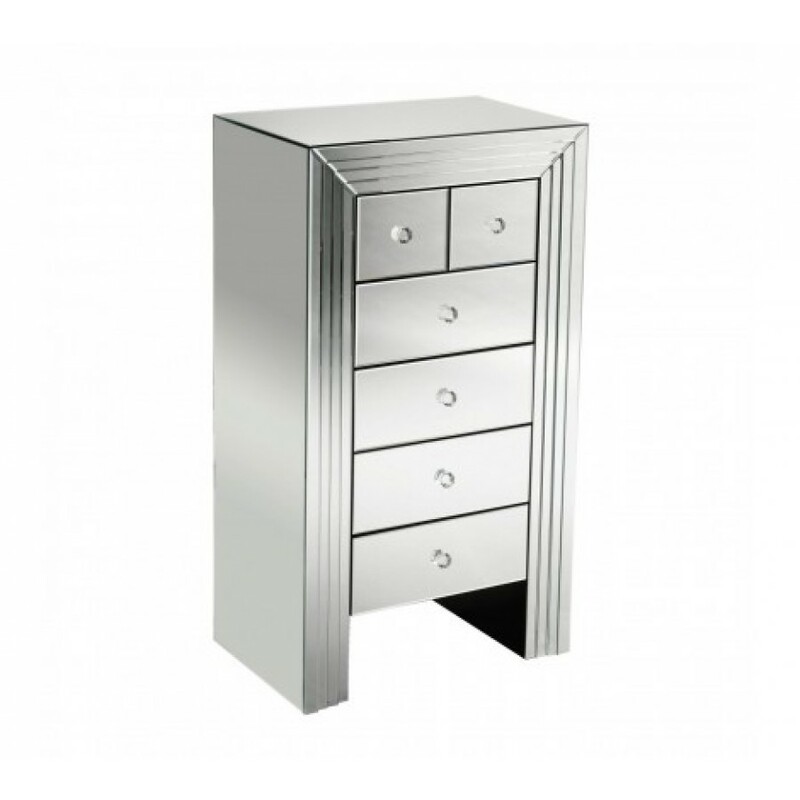 More than just a practical solution for keeping your bedroom tidy and organised, the beautiful new line mirror finished chest with six drawers will reflect light, style and the illusion of space into your bedroom. Designed to be as durable as it is stylish, the mirrored finish is suitable for everyday use. The sleek design has ample room with four equal sized drawers, and two smaller drawers so you can designate items into a specific drawer. Each handle has glass detail adding to the appeal, while making sure you can easily access the drawer you want. The smooth top is perfect for placing a lamp, photos or clock on knowing it will be accentuated by the mirrored finish. The elegant design will complement most decors while adding a chic piece of furniture in your bedroom.